From its dawn in the 1660s to its twilight in the 1960s, Cliveden was an emblem of elite misbehaviour and intrigue. Conceived by the Duke of Buckingham as a retreat for his scandalous affair with Anna-Maria, Countess of Shrewsbury, the house later served as the backdrop for the Profumo affair. In the 300 years between, the house was occupied by a dynasty of remarkable women each of whom left their mark on this great house. The thing I liked best about this book was the way that you hear all about the historical setting to each part of the 'story'. 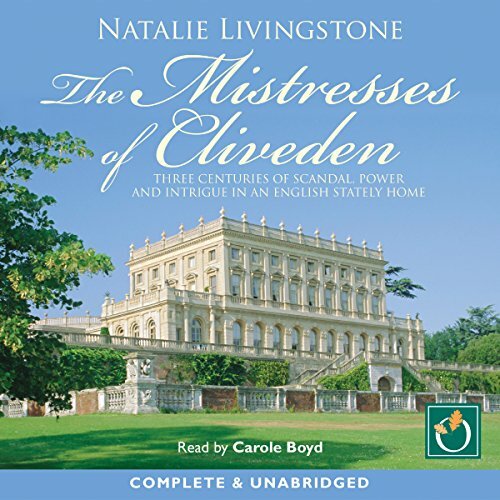 Each Mistress who lived in Cliveden is set in the context of the history to that era - social, economic and especially political history. 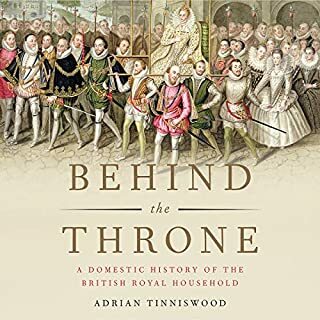 It really did bring the story to life - and so of course, an awful lot of the book does not happen at Cliveden and often had nothing to do with the house, which was not what I was expecting but it worked so well. 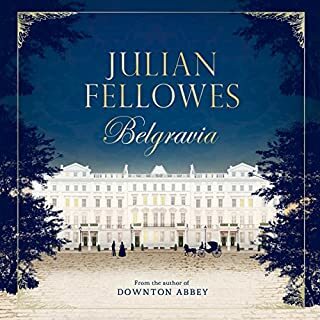 I was far more gripped by the more recent eras of the house - the last one was really Nancy Astor and this was by far the most interesting to me. I thought I admired her (first female MP etc) but it turns out she was a fascinating but rather nasty piece of work with ingrained antisemitic views, among other unpleasant things! The narration was excellent. Just familiar enough, as if you are being confided in, not over-acted by the brilliant C Boyd (Linda Snell, The Archers). 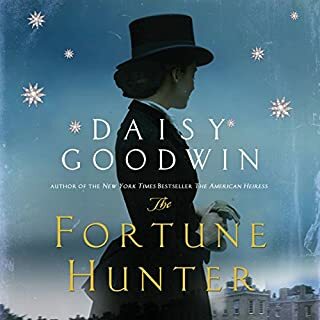 Thoroughly entertaining and well researched narrative, which flows very smoothly, thanks to the melodious tones of the reader. I've read widely on the subject yet there was more to learn here. The book combines erudition and humour very cleverly and is clearly written from the heart. I really enjoyed this but no I wouldn't listen to it again. I would read it though. 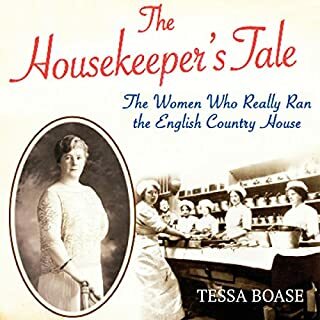 The house itself has a wonderful history and it's fascinating to hear about it, but the narrator seems to be trying to turn it into some kind of drama - swooping and emoting all over the place. She treats it as if it were a work of fiction and it gets very, very annoying very, very quickly. I would far rather that she had simply read the book as a work of non-fiction. The story is dramatic enough without her trying to help. Absolutely fascinating history of this stunning house. I was lucky enough to marry here and so it has a special place in my heart. To hear all of this history really made it come to life. So much you don't know and surprises you. Highly recommended! Really enjoyed learning about the history of Cliveden and the women who lived there. The narration is very good but there are some issues with the sound levels at some points - she sometimes goes so quiet you can't hear her. Overall though, enjoyable and interesting. 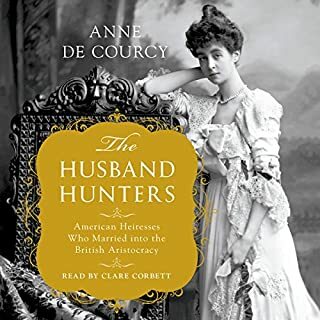 A fascinating insight into the life of a stately home, and the mistresses of the house, from the 17th to 20th centuries. 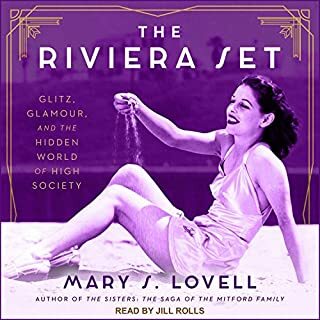 This book covers two centuries of royal connections with the house, and a century of the political and personal intrigues of the Astor family. The story is fast paced and highly entertaining. The only criticism I have is that I found the narrator rather irritating, but this is probably a matter of personal taste.